1.Polydnavirus gene products and their physiological effects on host insects. 2.Application of microsatellite DNA as molecular genetic marker. 3.Present status of locust outbreak and its sustainable control strategies in China. 5.Research progress on the queenworker caste differentiation in the honeybee(Apis mellifera). 6.Advances in fitness of resistant insect to insecticides and its mechanism of endocrinic regulation. 8.PCR-based detection of Wolbachia infected in natural populations of wheat aphids in China. 9.Occurrence of rice planthoppers in singlecropping of rice fields in northern part of Zhejiang Province. 10.Bionomics of Proceras venosatus in northern part of Hunan Province. 11.Occurrence and chemical control of the second generation of cotton bollworm(Helicoverpa armigera) in tomato field. 12.The reproductive life table of Polyphagotarsonemus latus. 14.Spatial pattern of the eggs of the banana pseudostem weevil Odoiporus longicollis. 15.Bionomics of black rice worm, Aglossa dimidiata. 16.Anopheles hyrcanus complex from China：sequence differences of ribosomal DNA second internal transcribed spacer and phylogenetic analyses. 17.The pupae bionomics of Liriomyza huidobrensis. 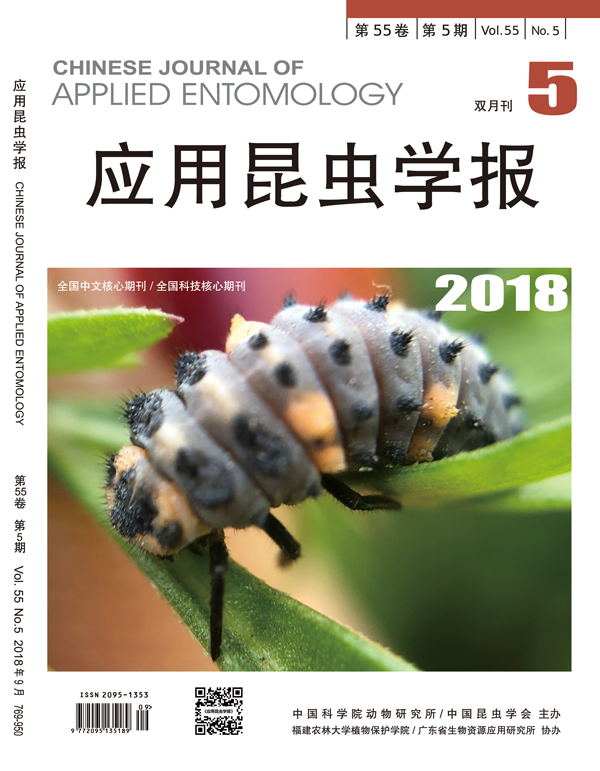 18.A taxonomic study on the genus Rhopalus in China. 22.A method of rearing the beet armyworm Spodoptera exigua.